In the hands of someone who knows how to use them, smartphones can be some of the most versatile kinds of devices ever created. Indeed, with their many different built-in features, and options for added functionality through downloadable and installable apps, smartphones can be used for a wide variety of uses. With that said, they can be particularly dangerous in the hands of children. 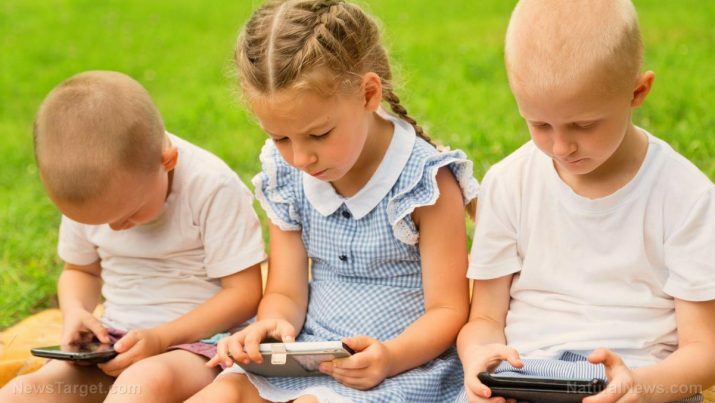 As a new study points out, a lot of smartphone apps have the ability to gather certain types of data about their users, particularly children, and use them for suspicious, if not questionable, purposes. This is according to a new study titled, “Won’t Somebody Think of the Children? Examining COPPA Compliance at Scale,” which was recently published online in the journal Proceedings on Privacy Enhancing Technologies. The main takeaway from the study is that more than 3,300 different smartphone apps are potentially violating a huge federal data-privacy law, which was created to protect children from things like online tracking. In light of all the most recent privacy and data breach scandals in the tech world, this is something that needs to be taken seriously. According to Serge Egelman, the director of usable security and privacy research at the International Computer Science Institute (ICSI), which has ties with the University of California, Berkeley, and co-author of the study, many apps could be in loads of legal trouble right now. “These problems are rampant, and it’s resulting in kids being exposed to targeted advertising and automatic profiling that could be illegal,” he said. The study conducted by Egelman and his research team covered a total of 5,855 of the most popular apps on the Android smartphone platform. To test all of the apps, they developed an automated process that ticked certain checkboxes, and they applied this process to the apps which were available in the U.S. Google Play store from November 2016 to March 2018. Some of the things they found were quite troubling. For instance, the researchers found that 1,100 apps, or 19 percent of all the apps that were studied, shared sensitive information with third-party services, despite the fact that their terms of service disallow them from being used in apps made for children. Meanwhile, 2,281 apps, or 39 percent of all the apps that were studied, seemed to be in violation of Google’s own terms of services with regards to sharing certain “persistent identifiers” taken from users. Also, a full 40 percent of all the apps in the study appeared to share the personal information of app users online without any real security measures put in place. Clearly, a lot of work needs to be done to get this matter sorted out. The number of apps on all of the world’s biggest smartphone platforms will only increase, and so will the number of smartphone users. It will be best to take care of this problem sooner rather than later. Read more about some of the problems revolving around online privacy at PrivacyWatch.news.